“In October 2015 my whole world got turned upside down. I was in my third year of living and teaching in Dubai, loving traveling during the holidays, swimming in the pool on the roof of my apartment and basically just living my life to the fullest. I’d taken on a new role at work which was challenging and although I’d been feeling run down, I ignored it and pushed through. 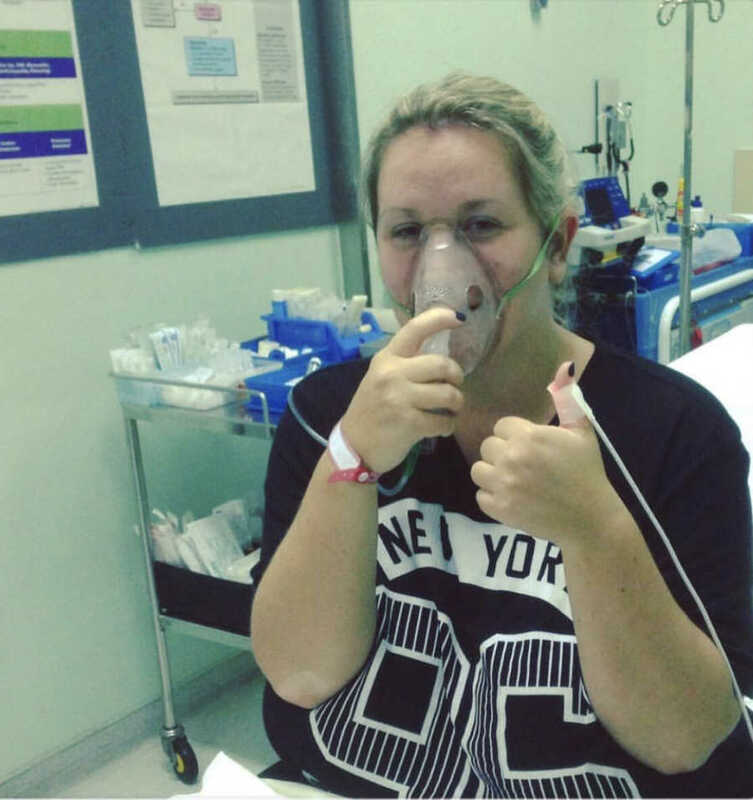 I eventually got signed off for two weeks after having a bad asthma attack. Blood tests showed glandular fever which I’d had five years previously, basically my body needed a break. But after two weeks, although I was feeling worse, I pushed myself back to work as I didn’t want to let anyone down. Although it didn’t affect my production I was exhausted and my mental abilities began to falter. I guess this is when I started to master the fake smile and the ‘I’m fine’ answer to people’s questions. It was at this point when my hair started to fall out again. I’d experienced alopecia areata (an autoimmune disease that causes unpredictable hair loss in patches) when I’d previously had glandular fever but only a few spots and they grew back within months of losing them. This time I wasn’t so lucky. The hair just kept falling out. I was afraid to wash my hair, brush my hair, look at the pillow in the morning… it was heartbreaking. After a week back at work my head teacher told me to come back home to the UK to see doctors here, which I did and from there things took a real turn for the worse. My hair was falling out in clumps, daily. I ended up looking like Friar Tuck and I could no longer disguise it. 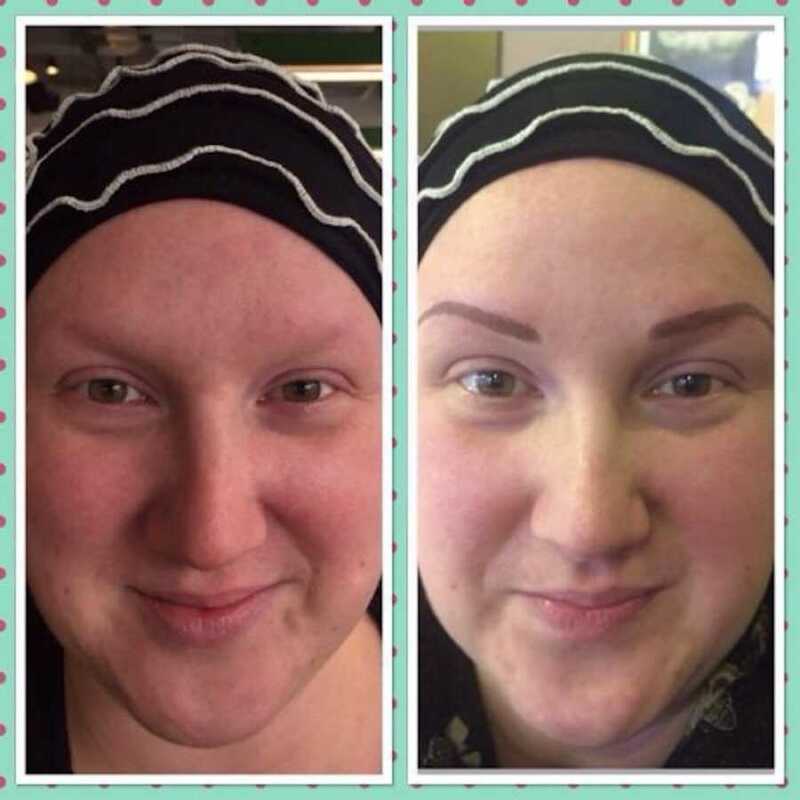 I was losing my eyebrows and lashes and had lost all my self-confidence and mirrors were my enemy. I was having every test under the sun to try and work out what was going on, seeing specialists but feeling worse by the day. It was like wading through mud, I had zero energy and no matter how much sleep I had I woke up seemingly more exhausted than the day before. I tried to cover up my hair loss with caps apart from when I was with family and friends but of course, I was embarrassed and felt hideous. I never went out without a hat at this stage, I couldn’t face the inevitable stares from strangers. Eventually I made the decision to shave off the rest of my hair. I needed to take back some control. Normally dad would do anything for me without hesitation but he had asked a few times if I was sure, if he wanted me to get his local barber to do it after closing time…but I wanted my dad to do it. I trust him implicitly and I wanted someone who loved me and knew how hard this was going to be to do the shaving. 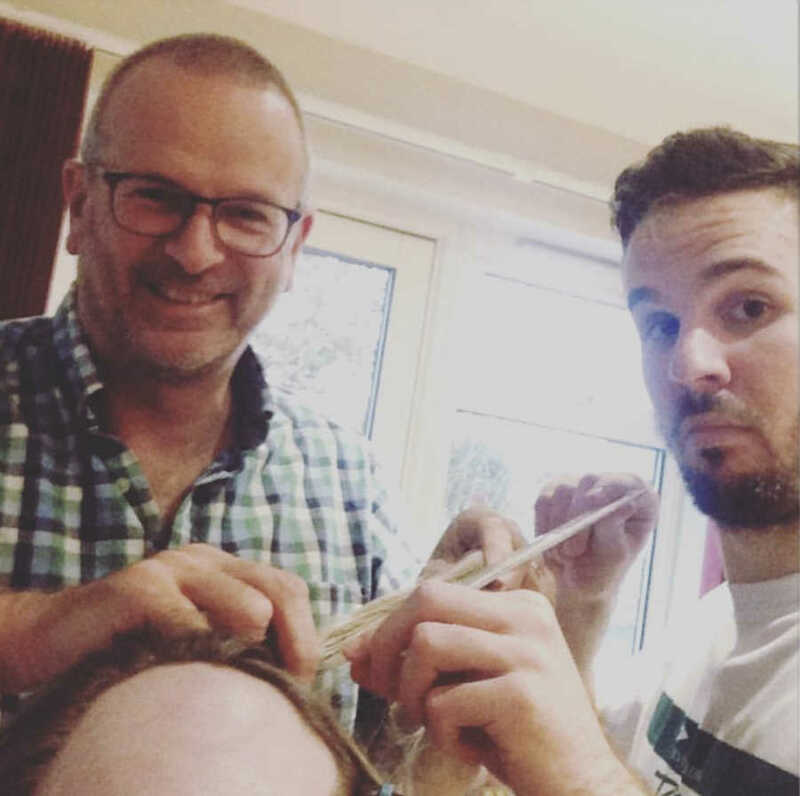 I’d got my brother Jack to measure my remaining hair as 17cm is the minimum length to donate to a charity called ‘Little Princess Trust’ which take donations of human hair to make real hair wigs for children who are suffering from alopecia or cancer. Mine was much longer so that’s where we began. Dad and Jack using elastic bands to tie my hair at the top and bottom and measuring each spot with a ruler…we did have a good laugh at that! And then the cutting began. Kitchen scissors were used to chop off the mini ponytails. Again I hadn’t really thought about the process itself and I certainly hadn’t anticipated being so upset by the sound of the hair being cut. There was no point being accurate or neat as it needed to just come off but I will never forget that sound. Mum was on the iPad, Jack watching TV, all keeping busy, dealing with it in our own ways but as always, together. Once the little ponytails were all chopped off I couldn’t be strong anymore, I really, really cried. More cuddles, deep breaths and then on we went, I honestly did start to feel fine after that. We could see a few more patches I hadn’t yet found but that was ok, they’d soon be invisible too. Then dad really got down to business, it turns out he was an indescribably brilliant barber! We had all kids of tools ready, beard trimmers, shavers…my head was so smooth by the end AND as luck would have it I actually didn’t have a bad shaped bald head! Mum did her bit by applying the E45 cream so I didn’t get a shaving rash and that was that, I could finally experience some relief. I felt like a weight had been lifted and the next morning I woke up with a cold head (I quickly ordered a very fetching night cap from Trendco!) but with no hair on the pillow, no hair in the drain…it just felt amazing. I did cry but with relief. That’s such a fabulous word isn’t it…relief. A few months after this step I made the huge decision to get my eyebrows tattooed! What a game changer! I did my research and traveled with a friend to Canterbury and spent the afternoon having eyebrows drawn, checked for size, shape and color and then having them tattooed onto my face! I cannot describe the elation I felt when I looked in the mirror and had picture perfect brows. This whole experience has taught me so much. Society and social media tells us we should look a certain way in order to feel beautiful or attractive. What I know now is other people don’t matter, it’s how you feel about yourself. That was a game changer for me. I have wigs which after 3 years I’m beginning to feel a little more comfortable wearing but normally I will wear hats or turbans or simply go out bald. 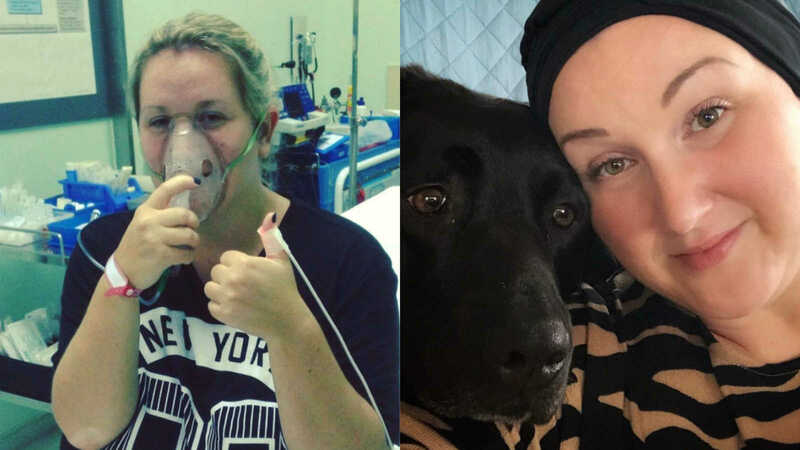 Yes people look and stare and many assume I have cancer and give me sympathy looks but I am enjoying spreading awareness of an autoimmune disease that impacts on so many peoples lives – men, women, young and old. Although my confidence has grown the comments I’ve had from ignorant people have stuck with me and sometimes they continue to impact my self esteem. Specifically I remember a time when a car of teenage boys drove past and yelled out: ‘ugly, bald b***h.’ How do people think this is okay? I’ve also been skipped in line because someone thought I was a mannequin because, ‘you know, because you haven’t got any hair.’ People simply don’t think about the impact of their words and how they stay with you. After many months I was finally diagnosed with myalgic encephalomyelitis (M.E) or as some may know it, chronic fatigue syndrome. 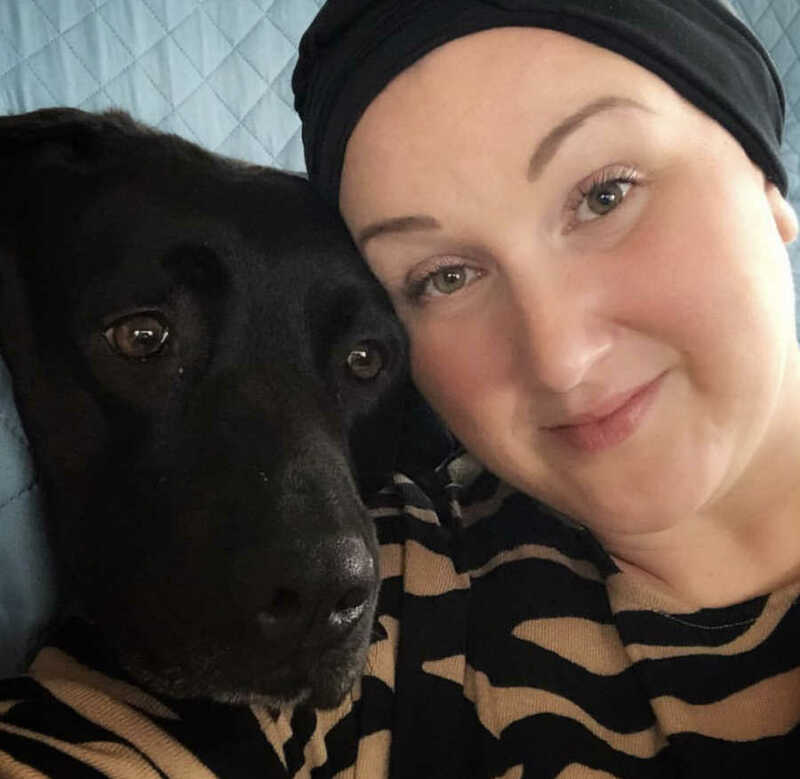 Again as with my alopecia, it was a relief to finally get a diagnosis but heartbreaking to know there’s no cure or treatment. I am now almost 3.5 years down the line, I live back with my parents who have become my care givers and I can no longer work as a teacher. My daily life is really tough. BUT, I have ensured I have become a glass half full kinda girl. I look for the positives and appreciate the small things in life. I set up a blog to help spread awareness of both alopecia and M.E and finally fulfilled my dream of becoming an author and have had two books published. My most proud moment was having my book, ‘Where’s Your Hair Hannah?’ published; a story about a little girl who lost her hair to alopecia. I wrote it to spread awareness but to also educate children on the importance of celebrating and embracing difference. 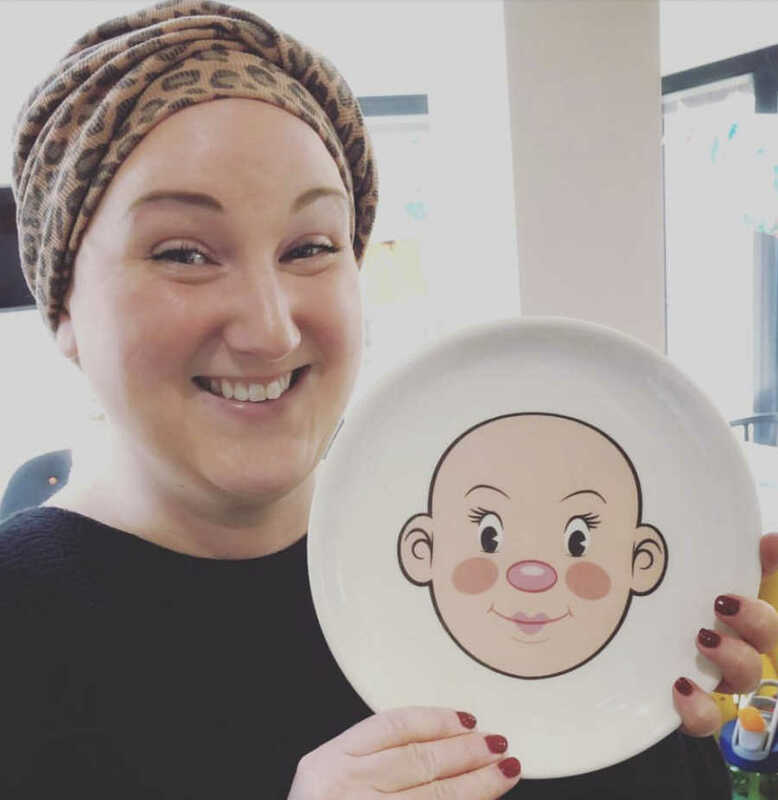 I’ve had some really lovely feedback from families all over the world who have children with alopecia and that is so special for me. 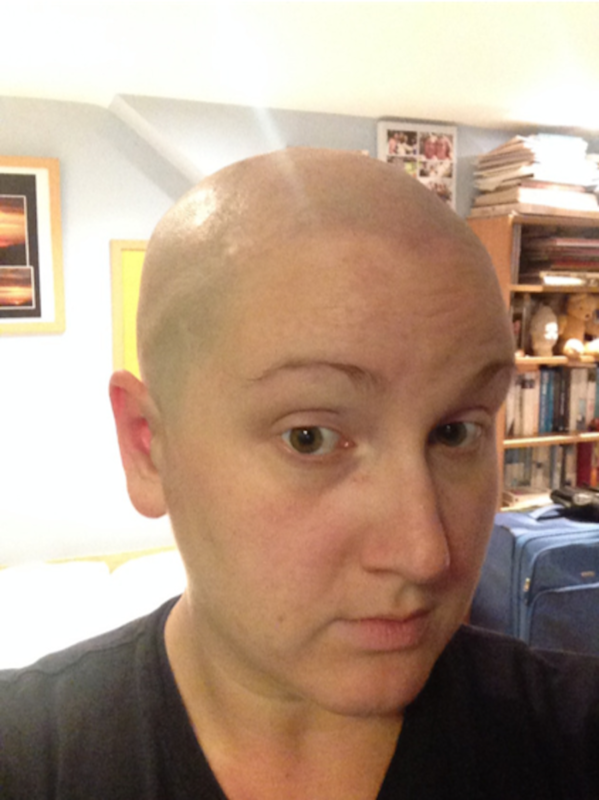 I’m always very wary of giving advice to anyone who is living with alopecia because it’s such a personal experience. So I guess, my only advice would be do what you feel comfortable. If you want to wear a wig, do it. If you want to cry, cry. If you feel free and confident, amazing. There is no set in stone pathway for me, it wasn’t easy and still I struggle at times, but the online community is incredible and I would highly recommend becoming part of groups that understand and can help answer questions. This story was submitted to Love What Matters by Hannah Green of Kent, UK. You can follow her journey on Instagram here or on her blog here. Do you have a similar experience? We’d like to hear your important journey. Submit your own story here, and subscribe to our best stories in our free newsletter here.